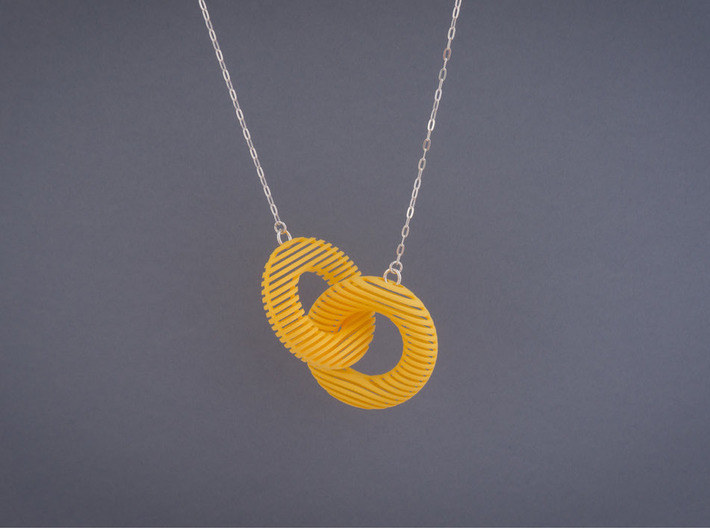 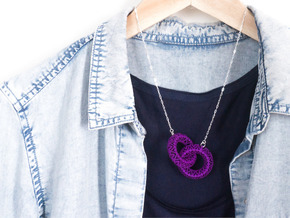 Wear a bit of 3D printed magic with this interlocking ring necklace. 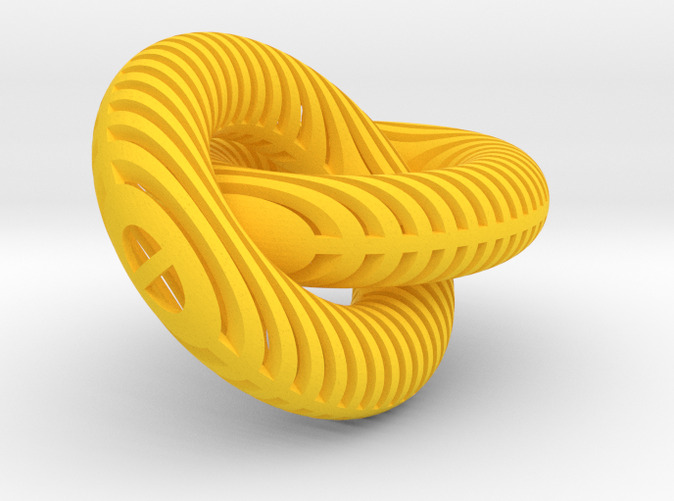 Thanks to the amazing way this new technology works, the two rings are joined together from the beginning, created as one piece. 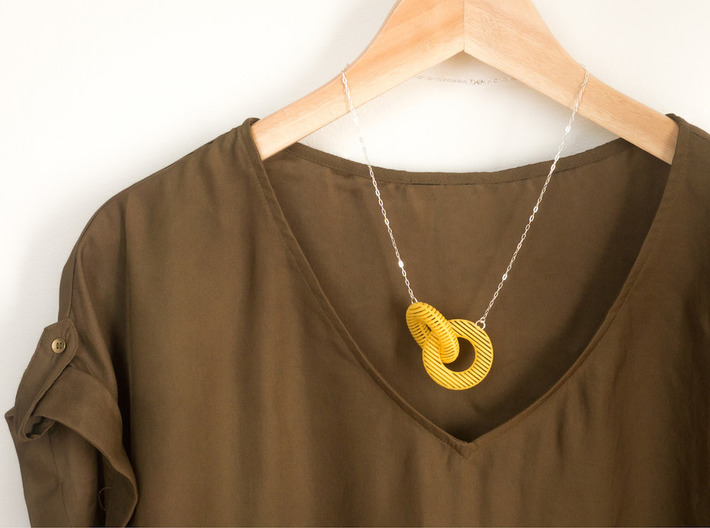 Each ring also has a graphic, striped pattern on their curved surface, which makes the piece even more intriguing (and more socially acceptable than pulling a white dove from your sleeve at a dinner party for the same effect). 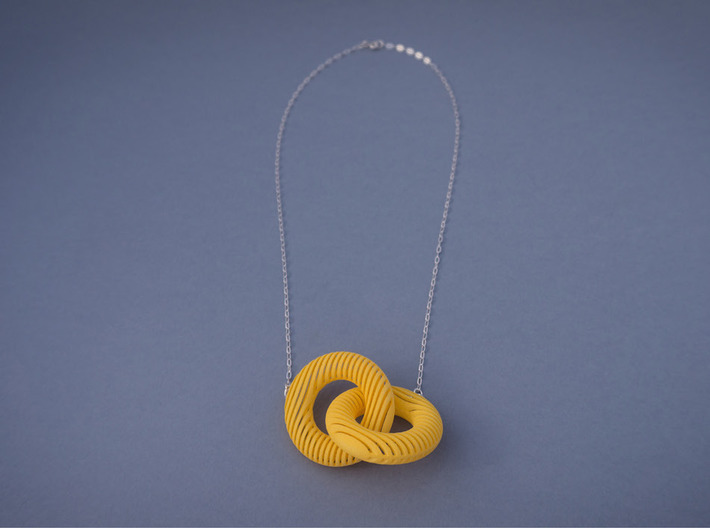 The design is 3D printed in nylon, and polished to a smooth, matte finish that almost looks like velvet and shows off the details of the intricate pattern. 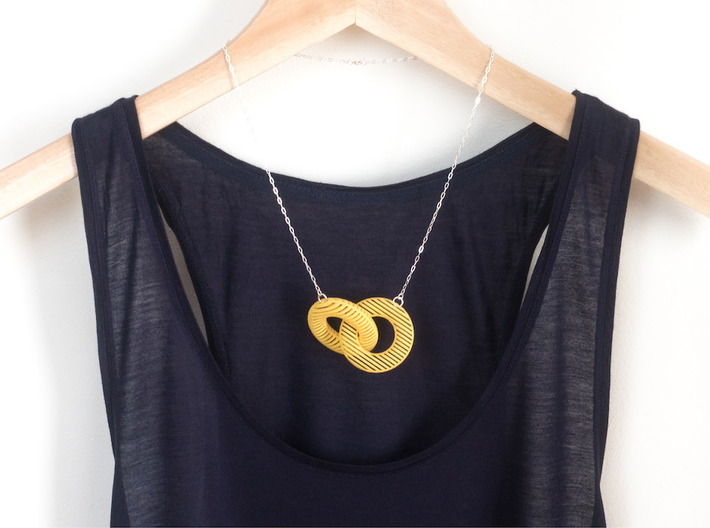 This necklace is from the Motif collection, which focuses on intricate patterns cut out of curved surfaces to put a modern twist on traditional filigree techniques. 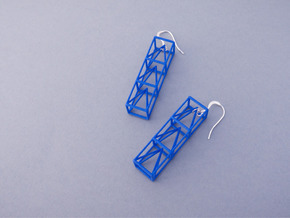 The unique properties of the 3D printing process mean that the patterns are finely detailed and repeat across the surface in every dimension.